I received a complimentary digital copy of Vegan Life, which has allowed me to post this review with screenshots included. My delight in the magazine is entirely my own. 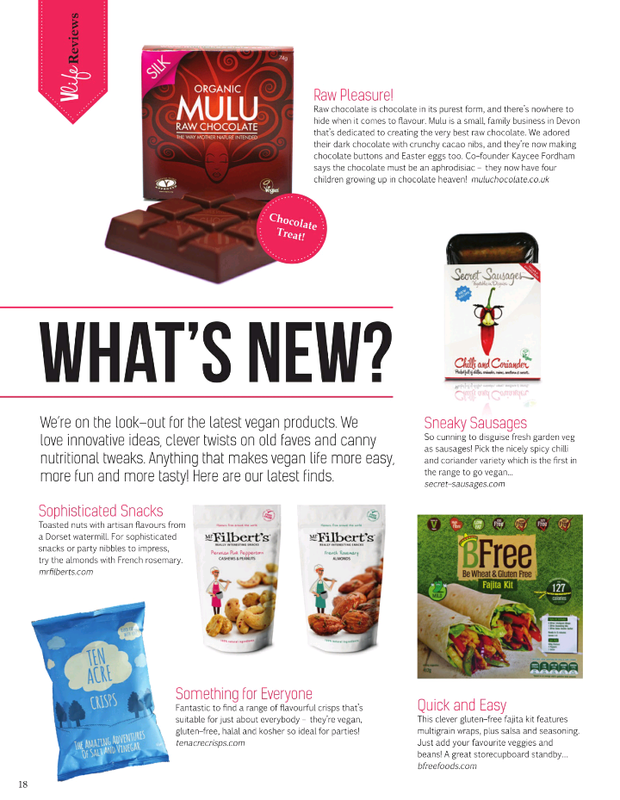 You may have heard of the recent release of Vegan Life, a new magazine that is celebrating all things vegan. I am pretty excited by its arrival. The magazine has a broad focus, and considers the social, economic, ecological and political aspects of a plant-based diet. 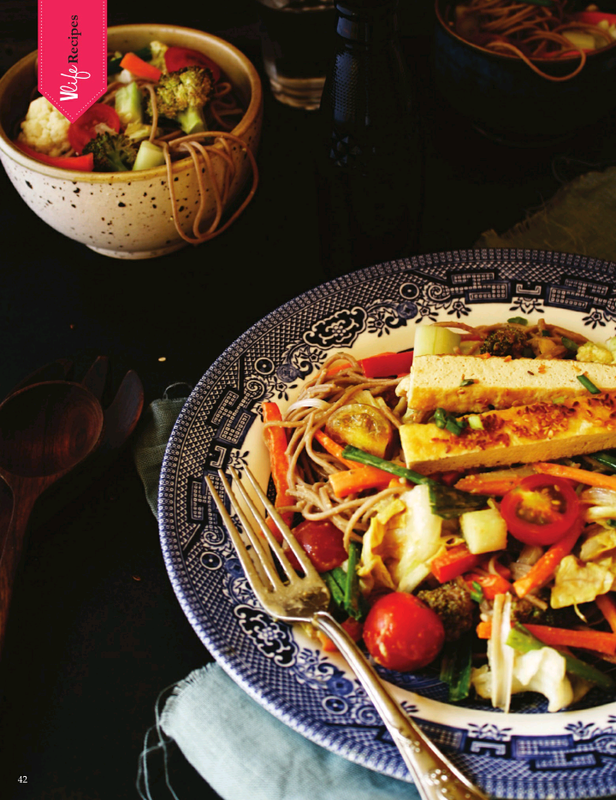 It aims to 'bring vegan into vogue', and is certainly working to achieve that aim. In this first issue alone, there are recipes, new product alerts, interviews with athletic, activist and chef vegans, and articles that highlight how veganism works in real life - whether that be in a family, solo, or with animals in tow. The print version of the magazine was released in the UK last Friday (the 21st August), and as an opening offer is being sold in conjunction with OM Yoga. In other words, you get two magazines for the price of one. In recognition of our increasingly digital and international world, the magazine can also be bought in digital form, regardless of where you live. The magazine can then be read through its own app on Apple or Android smartphones or tablets. Hard copy and digital editions each cost £3.95, but for UK readers a 12-month (6 issue) digital subscription is available for £14.50 - a nice 38% discount. I'm delighted to be signed up as a Vegan Life Blogger, which means I will be able to share highlights from the bi-monthly digital issues. 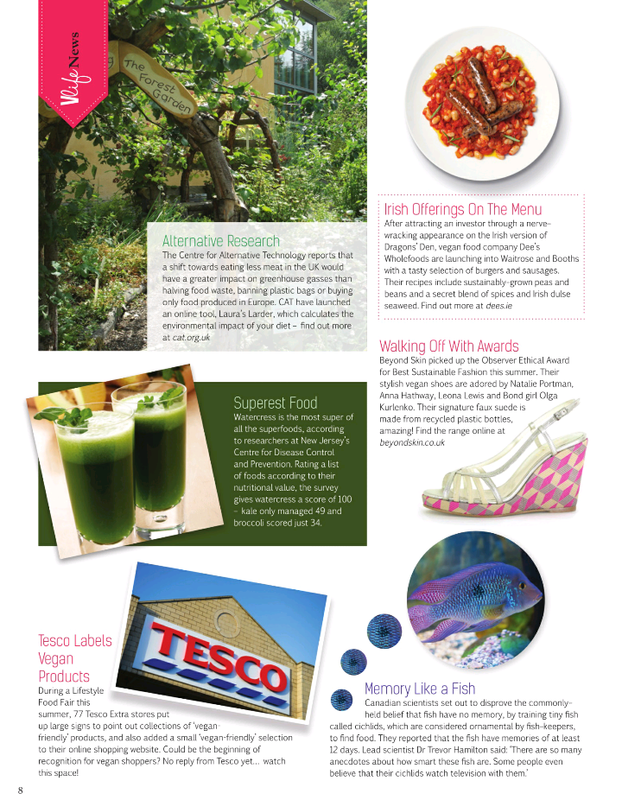 There are certainly lots of highlights to share this month! Before getting to them, though, I wanted to touch on how I found a digital magazine. 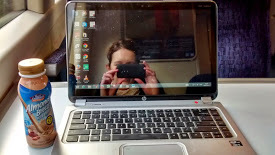 I don't have a tablet, and haven't tried digital magazines before; moreover, I am a novice at e-books. It was thus a pleasant surprise to find Vegan Life easy to navigate and read on my phone. The app is easy to use and you can add bookmarks, scroll through pages with ease, and read it wherever you are - once the magazine is downloaded, you don't need an internet connection. It made several train journeys fly by! Turning to the magazine itself, I really enjoyed the 'trivia' pieces on new products and fun facts. For example, Tesco may be moving towards clearer vegan labelling on their products, and there is new evidence to support fish being more cognitively advanced than we once thought. 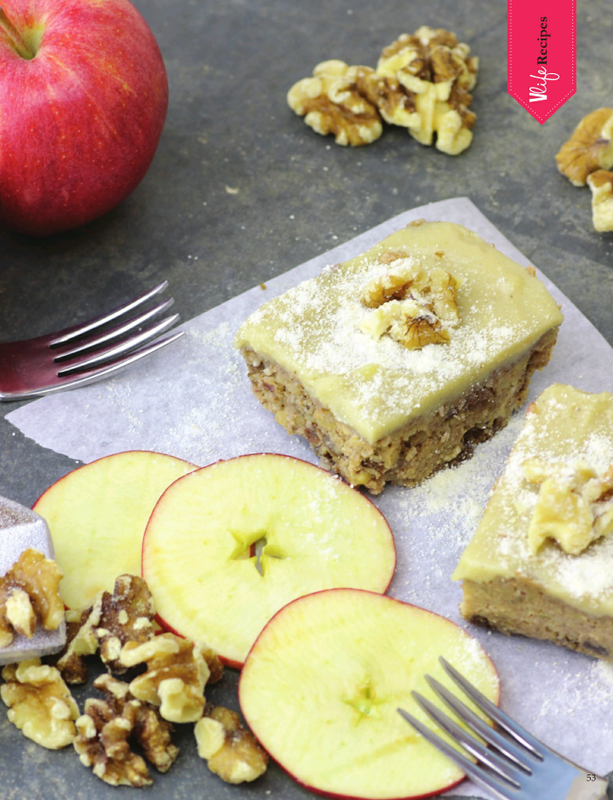 ...and a raw apple walnut cake that would be perfect at, well, any time. On a more serious note, I enjoyed a written debate on the morality of eating eggs if you rescue hens / keep free range hens yourself. While I am not a big fan of eggs anyway, I have occasionally pondered on whether I would re-introduce eggs if I had chickens in my own back garden. Unlike some animal products, eggs aren't linked with health problems if eaten in moderation, and chickens (in a non-commercial sense) don't have the same environmental impact as dairy or meat farming. The 'yes' argument made a number of points that resonated with me, such as eggs being laid by hens regardless of human interference, and generally left unfertilised to be eaten by animals or rot away. Food waste doesn't make sense, and eggs are sources of useful minerals and vitamins. Obviously if you eat eggs you wouldn't be vegan, but you could still be an ethically minded ovo-vegetarian. The 'no' argument was centred around several points. The weakest one, to me, was the fact that if you eat eggs you can't call yourself a vegan. As noted above, that goes without saying, and the related comments (like confusing chefs if vegans suddenly eat eggs!) didn't make a lot of sense to me. However, I could follow the point about even free range chickens being constrained chickens; I'm not sure where chickens would live without human interference these days, but the fact remains that they're aren't in existence for us to keep as pets. Moreover, veganism can be seen as a way of living happily and healthily without the need for animal products. 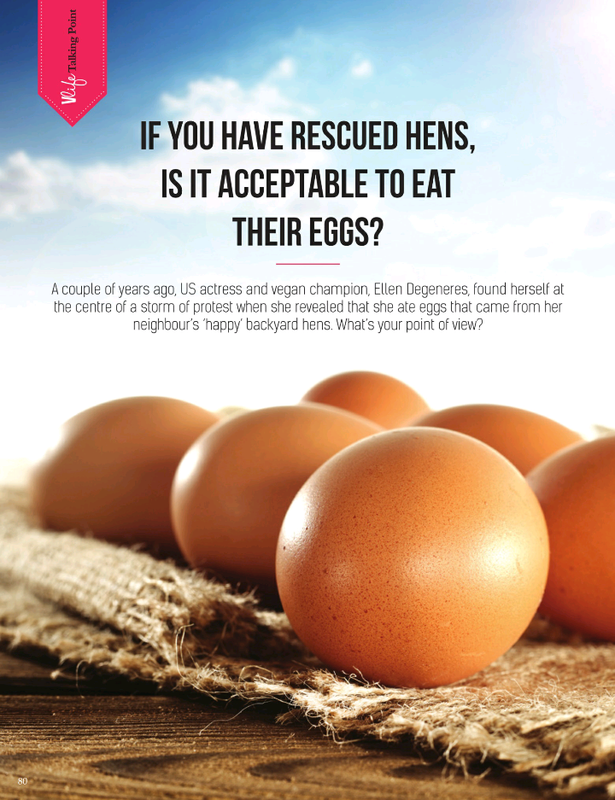 Even if some eggs are 'acceptable', for many they just aren't necessary. I don't think I'll need to make a decision on homegrown eggs any time soon (at this point we don't even have a garden!) but I'd love to hear your thoughts on the topic if you have any. 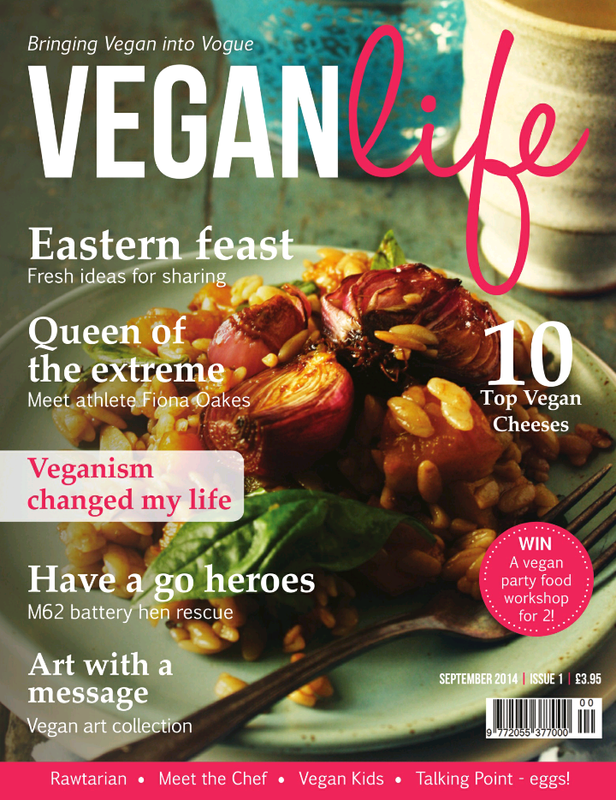 You can find details of Vegan Life magazine on the magazine website or Facebook page, and take out digital subscriptions online. I love that you think about your egg sourcing so thoroughly. Please let us know how you go if you move and do keep hens of your own! The raw cakes are pretty interesting! Too bad I'm a pork addict and can't give it up just yet, lol. But if I want to have a healthier lifestyle, this magazine is one great reference. 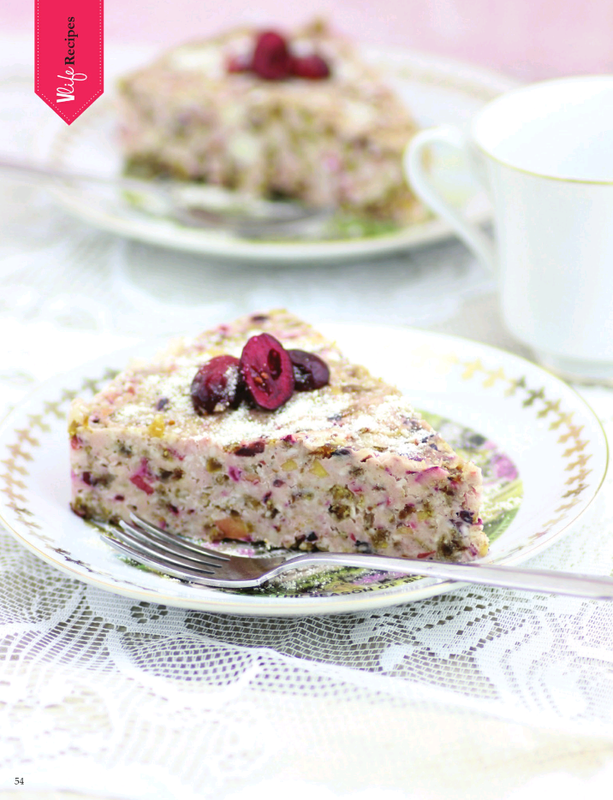 The mag looks creat, especially that raw apple walnut cake. I'm off to check out the mag, thanks for the review! The food in the photos looks delish! I love the look of the raw walnut and apple cake! I love your stance because it is really similar to my own. I much prefer 'plant based' to vegan / vegetarian labels, and am also happy to shift from vegan to vegetarian if I'm at someone's house (or similar) and the alternative is rude. It's been a while since I've had to, but people matter as well as animals :-) As you say, I also don't expect or even want those around me to avoid meat if they choose to eat it. Sounds like an interesting magazine - I subscribed to Vegetarian Times for a while but found I didn't make enough recipes but I did like reading some of the articles. The egg debate sounds interesting. I eat eggs where I can't detect them but I find them icky and sometimes like the idea of not eating them. I think to say well hens lay eggs anyway is a bit like saying that animals die anyway so you might as well eat them. (I think it was a Marge Piercy utopian novel where they decided to only eat animals that died naturally and so cows started to throw themselves at knives.) And the other odd thing about hens is that they eat meat apparently - I only know this because I once bought vegetarian eggs but was told hens don't last long without eating meat. So I can imagine you could have lots of interesting debate about these issues. I think they naturally eat worms and stuff so you wouldn't have to feed them meat (thought you would need to check if I am right) but I hate to think of people putting leftover chicken into the food scraps to feed them. That is cruel! I hope you enjoy it if you found it Shaheen! I can’t wait to get my hands on the magazine (like the trivia parts), and congratulations on being part of Vegan Life Blogger! Great writeup about the eggs debate, I’m not a big fan of eggs and won’t eat them ever! I want to raise these beautiful chicks! I thoroughly enjoyed this first issue - I found it really inspiring & thought provoking. I already can't wait for issue 2! Hmmmm well I have to say that I disagree with this "eggs aren't linked with health problems if eaten in moderation" - they are proven to be one of the biggest links to diabetes even when only eaten very occasionally - not to mention their cholesterol level (which contrary to popular believe eating the white with the yolk does not counteract eat other). And for that reason alone I wouldn't eat eggs even if I did keep chickens. Thanks so much for your thoughts Sandy :) There must be more variation in the egg research than I knew; the medical studies I've read haven't found links between egg consumption and adverse health outcomes, and my understanding of their cholesterol content was that any impact was on increasing levels of 'good' cholesterol rather than bad. However, science generally has inconsistencies, and certainly once people have diabetes I know things change a lot. I only discovered last year that avocados can cause major blood sugar swings amongst those with diabetes, which I found surprising!